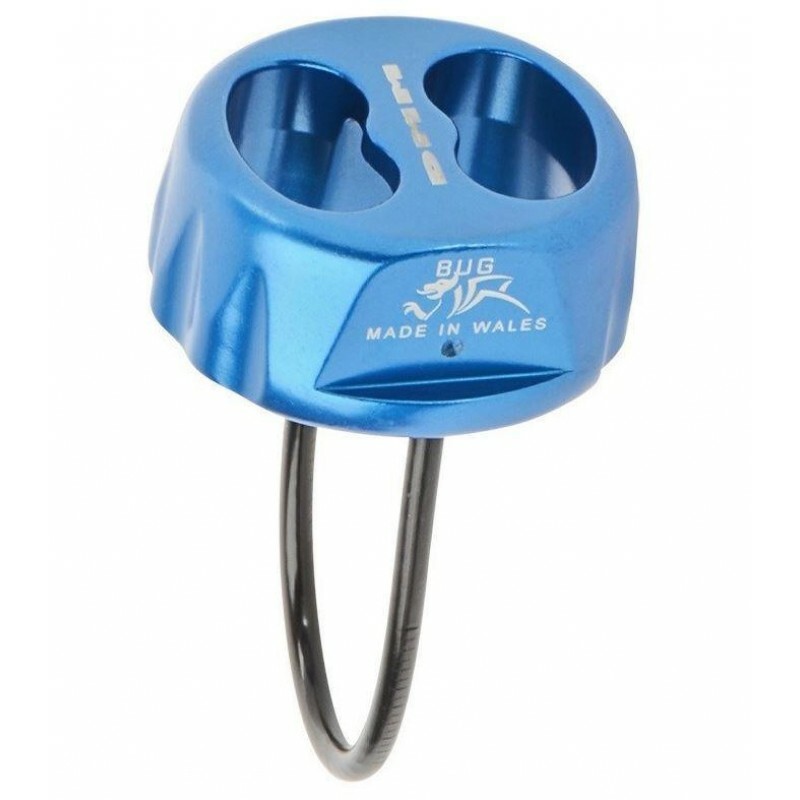 The Bug is a classic sitch plate design, a perfect first belay device for most ropes and activities. A little narrow on the opening if you have fat old ropes, if this is the case maybe you need new ropes! 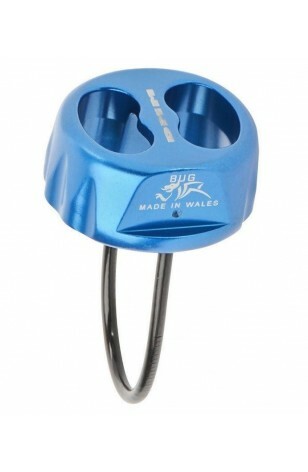 This is a great all rounder; a belay device that is equally at home down the climbing wall as it is out on the grit. It even works well on wet ropes. It is designed to work with medium to ‘fat’ ropes, and within the 8.5mm – 11mm range it handles beautifully. This is actually a tricky balance to get right, but we think we’ve nailed it. The Bug is slick enough to allow a quick release of rope, just when it’s needed, but secure enough to allow a firm lock down in the event of a fall. It can be used as an abseil device within the rope diameter guidelines. It certainly gives superb control and remarkably good heat dissipation.